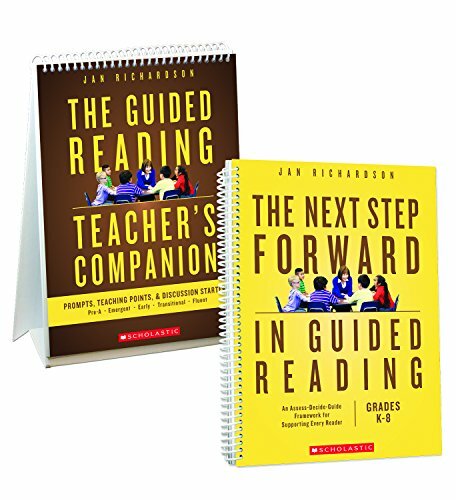 – All the planning and instructional tools you need to teach guided reading well, from pre-A to fluent, organized around Richardson’s proven Assess-Decide-Guide framework. – Prompts, discussion starters, teaching points, word lists, intervention suggestions, and more to support all students, including dual language learners and struggling readers. – 29 comprehension modules that cover essential strategies―monitoring, retelling, inferring, summarizing, and many others. – Plus an online resource bank with dozens of downloadable assessment and record-keeping forms, Richardson’s all-new, stage-specific lesson plan templates. – More than 40 short videos showing Jan modeling key parts of guided reading lessons for every stage. – A handy flip-chart guide with prompts, discussion starters, and teaching points for use during guided reading to inform your next step forward.